Thanks for visiting our website. 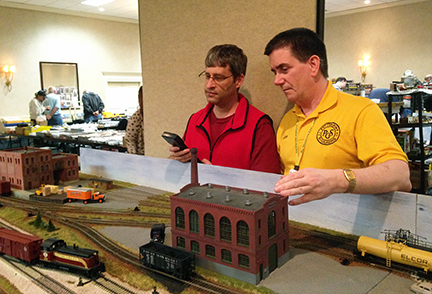 The Pittsburgh S-Gaugers (PSG) is an organization dedicated to the education of its members and the general public about model railroading in S-gauge (1/64 scale; 3/16″ = 1′) trains. American Flyer (AF) is S-gauge size. (Please see the Scale-S page for an explanation of the terms scale and gauge.) We have members primarily in southwest Pennsylvania, northern West Virginia and eastern Ohio. 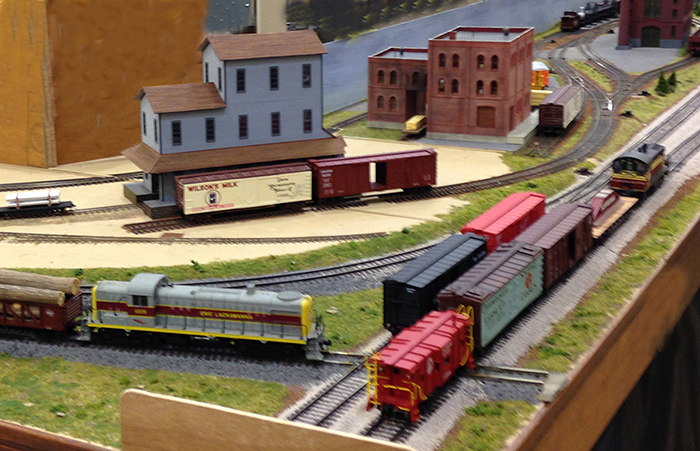 Our membership is open to anyone with an interest in S-Gauge model railroading. We publish a monthly newsletter and generally meet twice a month in homes, social halls or restaurants. The PSG is a Pennsylvania 501(c)(3) tax-exempt non-profit corporation. 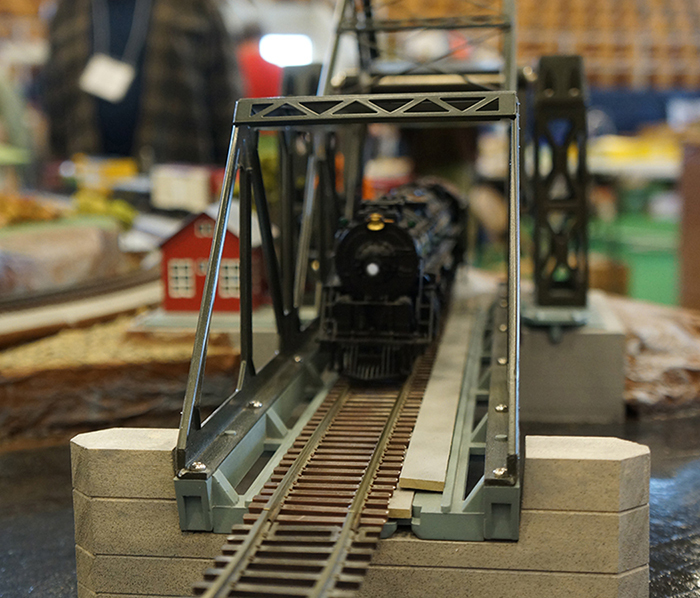 Our goal is to promote the hobby of S-Gauge model railroading and to disseminate information regarding the manufacture, history, collecting, operating and modeling of S-Gauge trains and layouts, as well as the maintenance and repair of these trains and accessories, old and new. 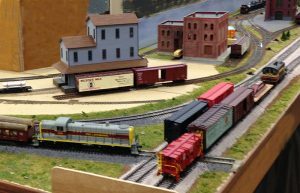 As part of our education outreach to the general public, we display our layouts at regional train shows, such as the Greenberg’s Train and Toy Show and the Carnegie Science Center’s annual winter “Locomotion Weekend”. Our interactive hi-rail layout features pushbuttons around the layout that children and parents can use to operate a variety of exciting accessories. 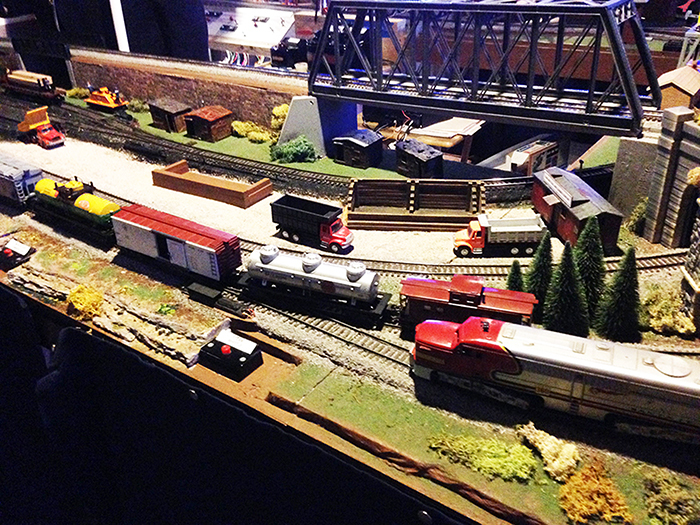 Our scale modular layout provides an opportunity for visitors to the layout to operate trains utilizing the latest hi-tech operating systems. Our membership includes all aspects of S-scale trains: American Flyer-S (AF), Hi-Rail-S and Scale-S. Scale-S modelers focus on realistic model details and include standard and narrow (e.g. Sn3) gauge track. Click on the “AF/Hi-Rail-S” or “Scale-S” tab in the menu bar for more information and history. 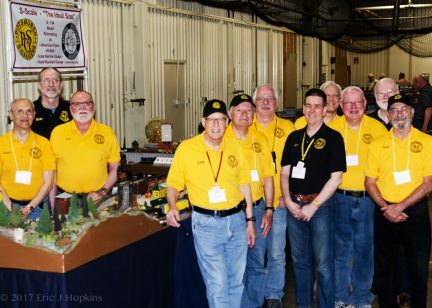 The Pittsburgh S-Gaugers is not affiliated with any other organizations, but we do encourage membership in the National Association of S Gaugers (NASG) and/or the National Model Railroad Association (NMRA). 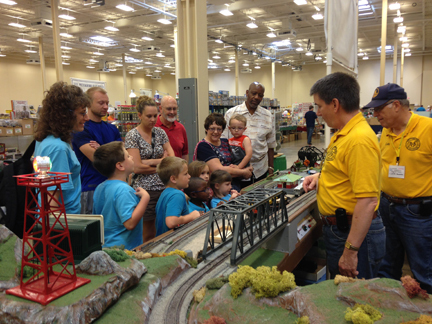 Many of our members who are especially interested in collecting American Flyer belong to the Train Collectors Association (TCA). Links to these organizations can be found on our S Links pages. We will be displaying our hi-rail layout at this event. Details on the NASG website. See the S links dropdown.